Within the LAPD division are a group of men and women known as the Hollywood Crows. They are different then your regular LAPD. Yes, they respond to the calls but they usually charged with dealing with all the desperate, unusal, and just plain wacko Hollywood. One of the crows is Hollywood Nate Weiss. Nate is a stand up good guy as well as good-looking. 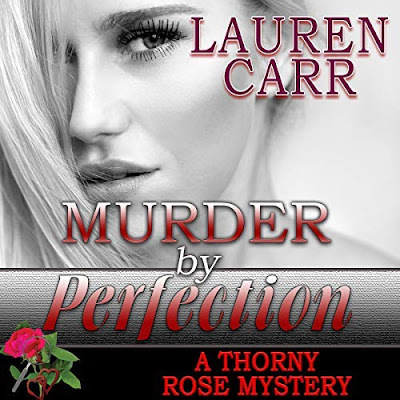 During one of his routine stops, he meets a gorgeous woman by the name of Margot Aziz. Margot invites Nate over for dinner and some drinks. What Nate doesn’t know is that Margot is not an innocent woman. She is going through a nasty divorce. Her soon to be ex-husband is notorious nightclub owner, Ali Aziz. Ali dispises Margot, especially since she has custody of their son, Nicky. Before Nate knows it, he finds himself a pawn in a deadly game of revenge. I loved every minute of this book.All of the Crows were great. I enjoyed everyone of them from Nate to the surfer cops. I couldn't stop laughing. 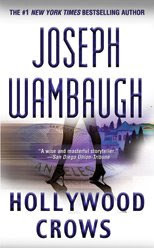 I once read another one of Joseph Wambaugh’s books and it was good but not as great as Hollywood Crows. In fact I had a hard time sticking with the book. The difference between this time and last time is that I listened to the audio version of Hollywood Crows and I read the other book. I realize that for the future that I will now only listen to Mr. Wambaugh’s books. The reading was done by Christian Rummel, who just makes this book come alive. I look forward to Mr. Wambaugh’s next release. That happened to me, too, when I read an older Wambaugh. This one sounds very entertaining. I love a book that has me laughing. Glad you liked this one-it sounds really entertaining. This does look like a great read! glad you liked it, its always a good thing when a book can make you laugh.